Mike Nichol’s Wolf cleverly combines comedic character study, spoofs the high profile business scene and whips it together with a far more literal lycanthropic horror story than I’d ever imagined before I watched it. It’s neat that dry metaphor went full on genuinely real monster flick, while losing none of it’s smarts along the way. Jack Nicholson, that old devil, plays an aging publisher whose livelihood is threatened by the arrival of a roguish young upstart (James Spader laying down that smarm) with designs on his job. It doesn’t help that he’s worn out, weary and not as sharp as he once was. Cue a werewolf mauling, which fixes those things right quick and turns him into a new man, in more ways than one. He’s fiercely competitive, virile and on the ball, but he also has to keep his hairy secret, well, a secret. Christopher Plummer is great as his fiery tempered boss, whose daughter (slinky Michelle Pfeiffer) begins to have eyes for the old dog, and the supporting cast has well coloured turns from Kate Nelligan, Ron Rifkin, Om Puri, David Hyde Pierce, Eileen Atkins, David Schwimmer and Richard Jenkins as a wily detective who begins to sniff the rat. 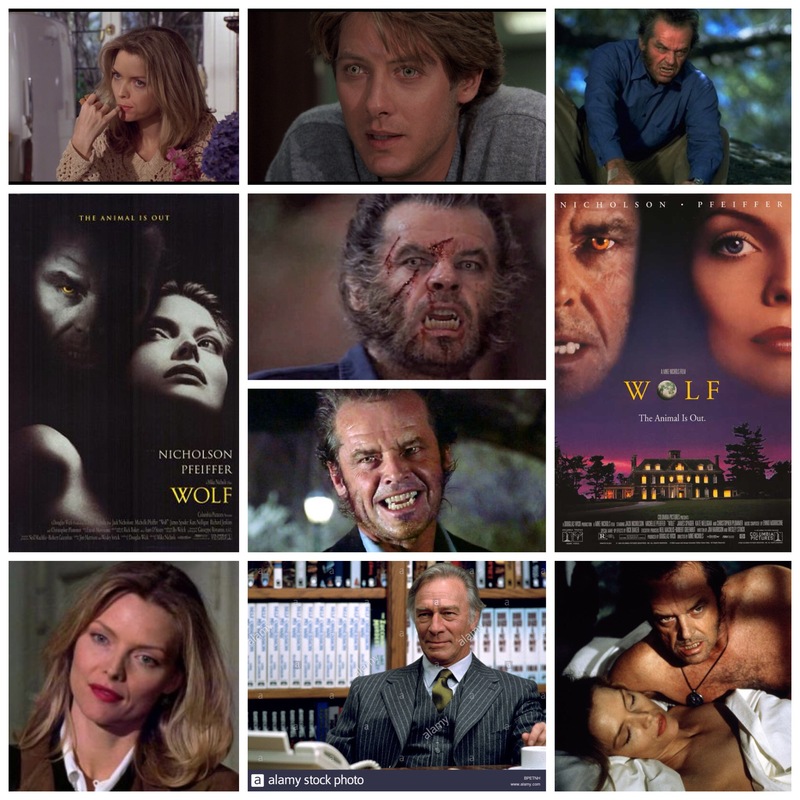 The Wolf effects by Rick Baker and team are refreshingly old school, practical prosthetics and nice and gooey too. It’s also a tongue in cheek examination of male potency and territorial behaviour, so what better avenues of exploration than instinctual canine interaction and the politics of the workplace? Cool stuff, neat genre blending, a wicked cast and cool horror elements.